The oversink or underink water heater from Redring heats, stores, and dispenses 7L of hot water up to 75°C ready for use at all times, ensuring you are never without hot water at your sink. Complete with a swivel spout and vented tap accesories, this heater is perfect for installation above or below your sink, and its large capacity makes it ideal for communal spaces. 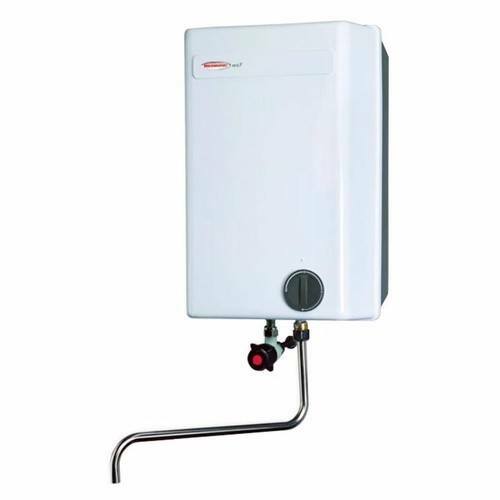 This model features an adjustable thermostat, making sure hot water is not hot enough to burn, but kept at the temperature of your preference, ideal for spaces frequented by children or the elderly.